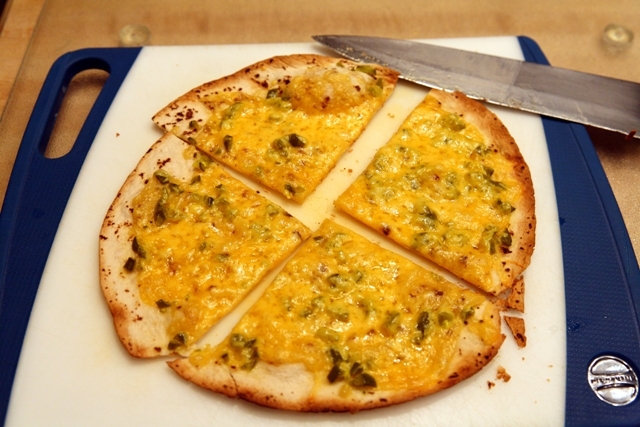 Now this is a fun Super Bowl snack, or even a late night snack or a quick lunch. 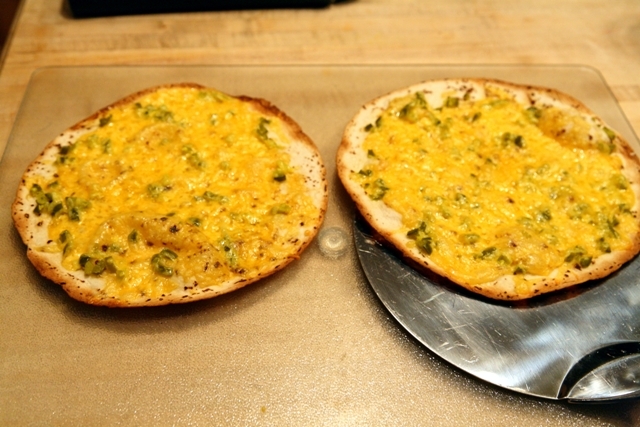 It’s tasty, spicy, and you can even add other ingredients such as leftover chicken, pepperoni, or even bacon bits. Preheat your oven to 400°. While the oven heats, assemble your crisps. 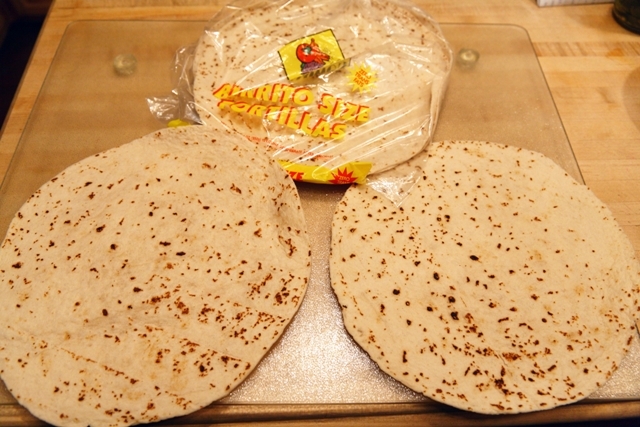 Lay out the flour tortillas. 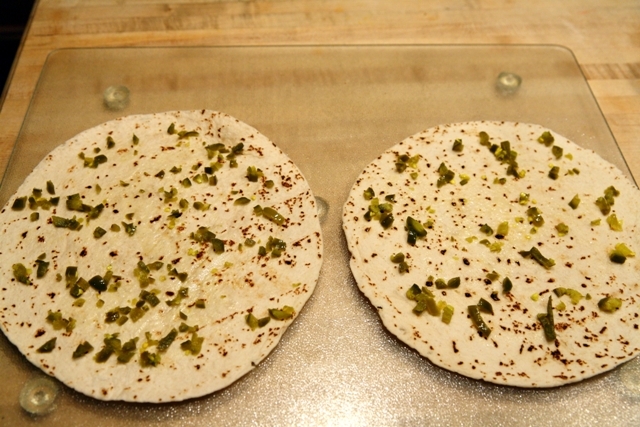 Don’t They Call These “Wraps” Back East? 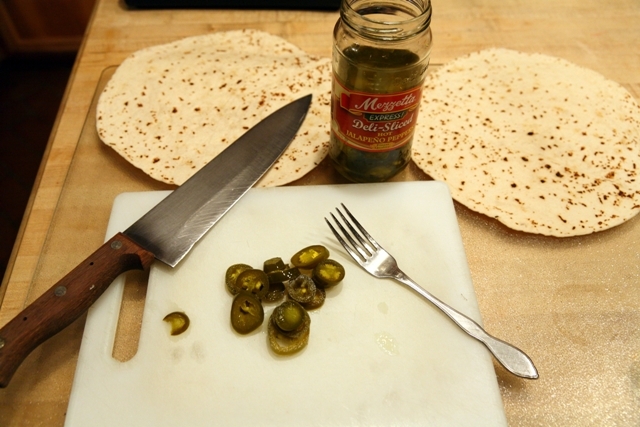 Spread the jalapeños over the tortillas. Looks Green, but They’re Red Hot! 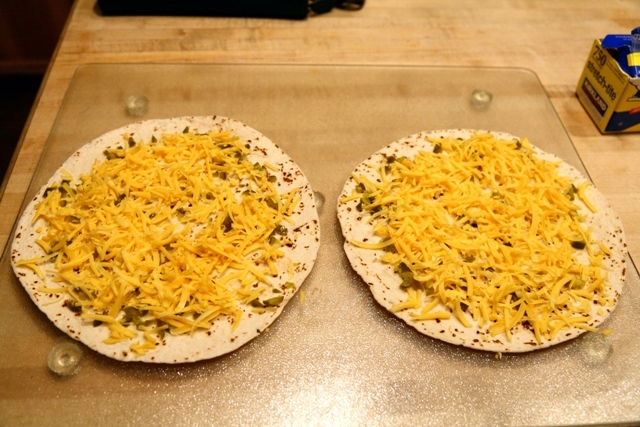 Add the cheese (or cheese blend in this case). Place directly on the wire rack in your oven. 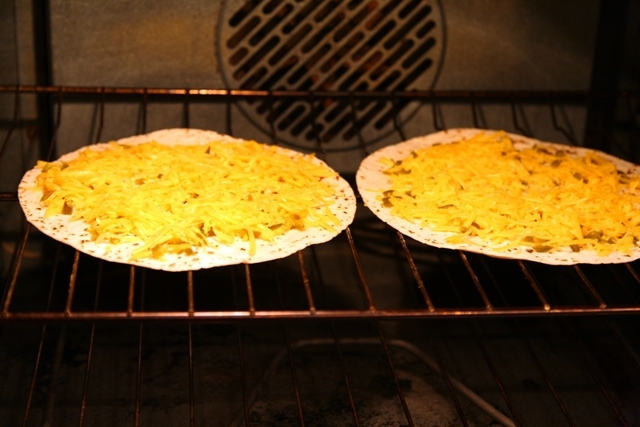 Bake until nicely browned around the edges and underneath and remove from the oven.